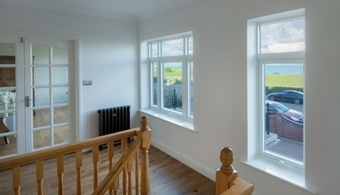 All our branches stock or can source an extensive range of windows, depending on your requirements. If its something traditional or something a little more modern we can help you as we work with leading suppliers within the Timber, Aluminum and PVC-U window industry. Timber windows have come a long way in engineering so they provide exceptional performance that lasts. 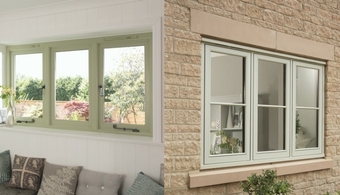 Our timber windows are manufactured and assembled by leading international supplier JELD-WEN. They offer high insulation with double and triple glazing options available - so gone are the days of drafty rooms. JELD-WEN's timber windows come in any size and a huge range of styles to fit whatever project you're working on - and can come in a variety of colours or stains so they really fit in with their environment. If you're looking for something a little more bespoke then we can still help. We work with Westport & PDS who both offer bespoke solutions - so please do contact us for more information. 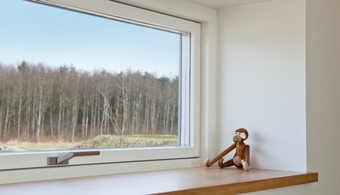 If you're looking for windows that are low maintanence, then we can offer an Alu Clad timber window solution. Although timber windows have many plus points, they do need to be painted every 5 years to ensure their longevity. 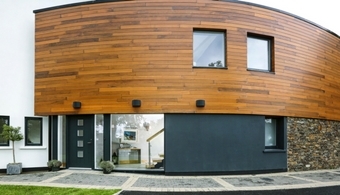 Through our supplier Rationel, we can offer a timber window with alumunium cladding to minimise the need for maintanence, protecting them against the weather and lengthening their lifetime. For more information, please do get in touch and we would be happy to assist you through your specification. 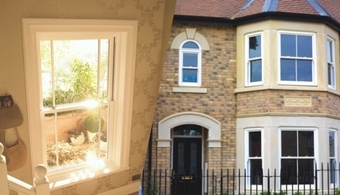 We can offer made to measure, market leading PVC-U windows through our supplier Crystal Direct. Whether its a new build, refubishment or home improvement project we can help. 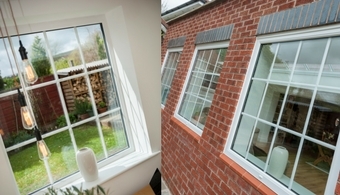 Our PVC-U windows come with a 10 year manufacturer's warranty, are energy efficient, are manufactured to the highest quality, and are installed with the latest high-performance multi-point locking technology as standard. Please ask in branch for details and they will be happy to take you through the options.